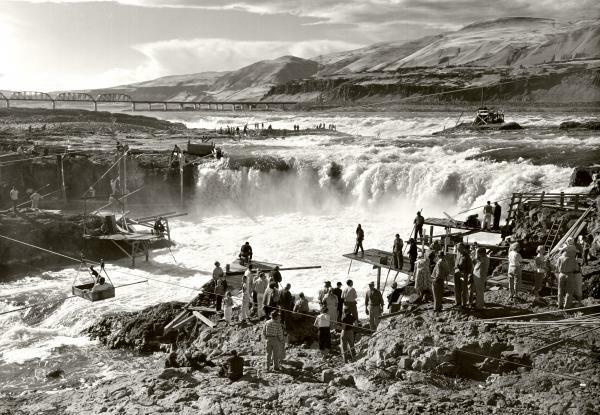 Celilo Falls, Wy’am, is one of the most important places you’ve never heard of. 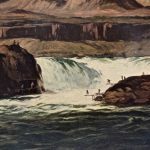 The name refers both to the series of cascades and waterfalls in the Columbia River, and to the settlements and trading villages that thrived along its banks for at least 12,000 years. Celilo was the oldest continuously inhabited community on the North American Continent until 1957, when the falls and most of the nearby villages (a reconstructed Celilo Village remains) were submerged with the construction of the Dalles Dam. My piece focuses on its life – prior to European settlement. 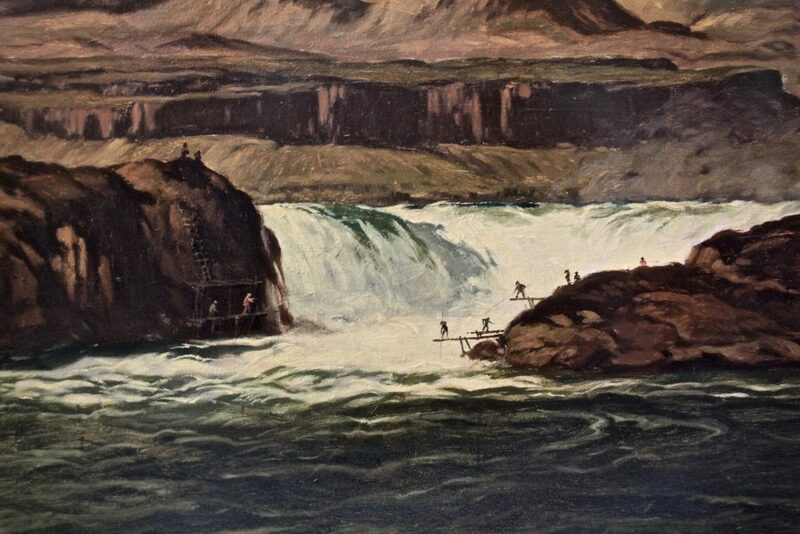 One of the richest fishing sites in North America, an estimated fifteen to twenty million salmon passed through the falls each year. As one of the largest centers of trade and culture in North America, archeological evidence reveals items from the plains, the southwest, Alaska and even shells from Japan. 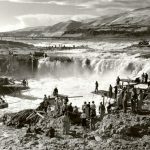 This piece for eight performers attempts to turn back time when the miles of water flowed, then cascaded unimpeded toward the massive horseshoe-shaped falls. The winds whip; the water chaotically swells – its caps white with foam; the fish leap; the nets slam against the platforms. Encircling and integrating with this watery landscape, is a culture of Reciprocity.